Ever wondered where your water comes from and where your wastewater goes? How much garbage do we produce in Ottawa and where does it go? What did the city look like a couple hundred years ago? Where does the gas come from that fills up our tanks? How much of our food is produced locally? On this week’s edition of Earthgauge, we’ll discuss all this and more with Janice Ashworth. She helped put together a handy little booklet called ‘The Ecology of Ottawa‘ and she’ll be joining me for a feature 2-part interview. Also on the show, hear my interview with Ali Howard and Andrew Eddy about their film ‘Awakening the Skeena‘. The summer of 2009 saw Ali Howard become the first person on the planet to ever swim the entire 610km Skeena River. After 26 days of whitewater, boulder gardens, crazy currents and community celebrations, she did it! Why? Well, it turns out that the Skeena is threatened by various forms of industrial development and she wanted to bring awareness to the the threats to one of Canada’s great salmon rivers. We also have our weekly update from Graham of Ecology Ottawa on local environmental events and campaigns in the Ottawa area. Canadian ethnobotanist Wade Davis has called the headwater region of the Skeena River in northwestern B.C. “the Serengeti of Canada” because of its abundance of wildlife. He says it is “a landscape that is as beautiful as anything I’ve ever seen, in my experience as an explorer in residence for the Geographic, going to as many as 30 countries a year.” This valley in a rugged corner of the province is the birthplace of three of Canada’s most important salmon rivers: the Stikine, the Skeena and the Nass. Known as the sacred headwaters to First Nations living in the region, it has tremendous economic, cultural and spiritual importance. The rivers support a $100-million wild salmon economy that sustains communities along the Skeena and includes First Nations fisheries, commercial fishing, and recreational angling. Three proposals for mining in the region have drawn fierce opposition from local residents, particularly Shell Oil’s plans to mine for coal bed methane near the headwaters. Ali Howard was one of those concerned residents when in 2009 she decided to do something to to raise awareness about the importance of the Skeena and the threats to it. What did she do? Protest and organize? No sir. She decided to swim the entire length of the 610km river in 26 days. I know we often have our fair share of grim environmental news on Earthgauge but I am pleased to tell you that this story has a happy ending! Thanks to Ali’s efforts and those of many others such as the Skeena Watershed Conservation Coalition, in December 2012 coalbed methane development was permanently banned from the headwaters and Shell withdrew its plans to develop. Further evidence that with hard work and determination positive change can and does take place. A film was made about Ali’s heroic swim called Awakening the Skeena and she came to Ottawa last week for a screening. So I caught up with her and the film’s director Andrew Eddy. Now as you well know, we have an impact on and we are impacted by our local, natural environment and that’s why on today’s show we’re talking about regaining the connection between ourselves and the places in which we live whether it be in the remote, far-flung reaches of northern BC or right here in the Ottawa valley. It’s easy for us to lose sight of the natural world around us and how we impact it, and we sometimes lose the connection between ourselves and the Earth and water that keep us alive. Many of us don’t know where our wastewater goes once it’s flushed down the drain or where our electricity and heat come from. What about the gas that fills up our tanks? How much garbage do we produce and where does it go? How much of our food is locally produced? I myself didn’t know the answer to many of these important questions and I thought it was about time I found out. It turns out our friends at Ecology Ottawa have produced a handy little booklet called The Ecology of Ottawa that answers all of these questions and many more. I caught up with Janice Ashworth, one of the people who helped produce the book, to discuss some issues that all of us living in Ottawa should really know. I am pleased to present a feature 2-part interview with Janice on today’s program. it’s easy for us to lose sight of the natural world. We lose the connection between ourselves and the Earth and water that keep us alive. We flick on a light switch without thinking about where the energy comes from or what it does to the earth. We flush the toilet without knowing where the wastewater goes and our garbage is whisked off to some distant place called “away.” But we are deeply connected to the water, land, and air. It affects us and we affect it, every single day through the water, energy and other resources that flow through our homes. Will UN Summit on Sustainable Development make anyone happy? Going into the UN’s largest summit ever, few had expected a world-rattling or even an ambitious agreement. In fact, expectations had been low for months. But changes to the text during the last week weakened everything from combating poverty to valuing biodiversity, causing universal condemnation from NGOS. Strong words not only came from Greenpeace, which is known for them, but also the more diplomatic World Wide Fund for Nature (WWF) and Oxfam. So can the Summit be salvaged? Will anything of substance come out of Rio +20? Will UN Summit on Sustainable Development in Rio make anyone happy?. For our January 12 show, Earthgauge Radio took measure of the state of the world’s forests in our look back at the recently-concluded International Year of the Forest. Now new research is showing that forest die-offs are on the increase and this troubling trend is being linked to global warming. Heat and water stress associated with climate change are making forests vulnerable to insect attacks, fires and other problems. As reported in an October 2011 New York Times article, millions of acres of forests in the northern and central Rockies are dying. In Colorado, at least 15 percent of that state’s aspen forests are suffering due to a lack of water. The U.S. is not the only country where forests are succumbing to the effects of a warming climate, trees are also being impacted by climate change all around the globe. Despite the wealth of data supporting global warming and the crucial importance of forests to planetary health, world industry leaders in wood materials gathered in Seattle on April 11-13 to discuss the role of woody biomass for production of biofuels. According to a UBC study, wood-based biofuels could be a competitive industry by 2020. While biofuels offer questionable benefits to the planet, wood based biofuels are even more suspect. Sustainability news: Forests and the Health of the Planet. Oil companies operating in the tar sands of northern Alberta make much of the fact that they are working to restore the land after it has been ravaged by their open pit mining operations. Yet about 60 per cent of the boreal forest that overlays the tar sands is in fact composed of wetlands and some researchers believe at least half the region’s wetlands will be permanently lost. They say millions of tonnes of carbon will be released. Check out this HuffPo article for more info on this issue. Stephen Svenson, PhD candidate at the University of Waterloo and author of the article ‘Those Brad Pitt Houses’ in the current issue of Alternatives Journal. Ian Huggett, director of the Ottawa-Gatineau environmental organization EcoWatch. Happy International Women’s Day! Earthgauge Radio is broadcast every other Thursday morning at 7:00-8:00 AM on CKCU 93.1 FM in Ottawa. Right click here to download today’s full show. If you’ve been listening over the past few months, you know that on Earthgauge we define environmental issues in the broadest sense in the belief that the environment is inseparable from economic, social, cultural and even political concerns. In this spirit, our first feature on the program today examines some of these broad connections. I speak with Stephen Svenson who is a Phd candidate at the Univ of Waterloo. He’s written an article in the current issue of Alternatives Journal called ‘Those Brad Pitt Houses’, in which he takes a hard look at reconstruction efforts in the New Orleans Lower Ninth Ward after the devastation of Hurricane Katrina in 2005. It seems that Brad Pitt’s organization the Make it Right Foundation has been building houses for some residents of the Lower Ninth that are on the cutting edge of both architectural and environmental design. Sounds like a great initiative on the surface doesn’t it? Well, you might be surprised to learn that some locals there don’t entirely appreciate the efforts of Make it Right. This is a story of good environmental and social intentions that don’t necessarily correspond with the real needs of the people who are the supposed beneficiaries of the charity. It is an important story in that it really challenges some of our assumptions about sustainability initiatives and the importance of taking social and cultural considerations into account as we try to build a greener, more eco-friendly world. There is of course also a deeper question here about the role of government vs. that of private citizens when it comes to these kinds of relief efforts. We also take a look at what is going on in Gatineau Park with the extension of Hwy 5 north of Wakefield. You may have heard about the arrest of tree sitters who were protesting the removal of a significant amount of forest within the park boundary to make way for the Hwy 5 expansion. We get an update from EcoWatch director Ian Huggett. He tells us what this is all about, why some residents are opposed to the project as it currently stands and what other plans may be in store for the Park as the expanding urban areas of Ottawa-Gatineau put increasing development pressures on the park. Check out www.a5x.org for more information on the highway expansion and the protest. Off the top of today’s program, we’ll have our usual segment with Kathy of Ecology Ottawa who will be updating us on local environmental events and campaigns and talking about home energy efficiency initiatives. I’ve listed some of the upcoming events below or you can click here to see a complete list with full details. We also have international environment news courtesy of Deutsche Welle’s Living Planet podcast. For more environmental content, check out their web site where you’ll find TV materials and projects like like Global Ideas, which provides ideas on solutions to environmental challenges. Contact us at earthgaugeradio ‘at’ gmail.com. Please get in touch if you have story ideas, a comment on something you’ve heard or want to get involved or contribute to the show. You can also download our podcasts on iTunes. Just type “earthgauge” into the search bar and you’ll find us. Offered by Just Food and FarmStart, this series of workshops is a course for people who are thinking about starting a commercial farm business. The course helps aspiring farmers learn what it would take to start and manage their own farm dream and decide whether this is the right path for them. An entertaining and informative documentary film about a regular couple and their quest to answer the question “is it possible to live completely waste free?” Movie makers Jen Rustemeyer and Grant Baldwin will be on hand to speak and discuss their movie. This is a Pay What You Can event to raise money for Trinity’s ongoing ministries. You can join in celebrating Canada Water Week by hosting an event that will inspire questions and discussion on how we use water in so many aspects of our lives—and what we can do to make our water footprint a little smaller. Visit www.canadawaterweek.com to find out how to get involved this year. Click the audio player to hear my full interview with Tzeporah Berman, co-director of the Greenpeace International Climate and Energy program. A skillfully edited version of this interview was broadcast earlier today by my good friend Tamara Kramer on her CKUT show on Jewish arts and culture, Shtetl on the Shortwave. For almost twenty years, Tzeporah Berman has been an influential environmental activist and leader. In the early nineties she helped organize the protests to save the endangered rainforests of Clayoquot Sound on Vancouver Island. For her role she faced nearly one thousand criminal charges and up to six years in prison. She later co-founded ForestEthics and took on the lingerie company Victoria Secret to pressure them to stop using paper made from old-growth forests. She was named one of the 50 Visionaries Who Are Changing Your World by the Utne Reader, and she’s currently the co-director of the Global Climate and Energy Program with Greenpeace International in Amsterdam. 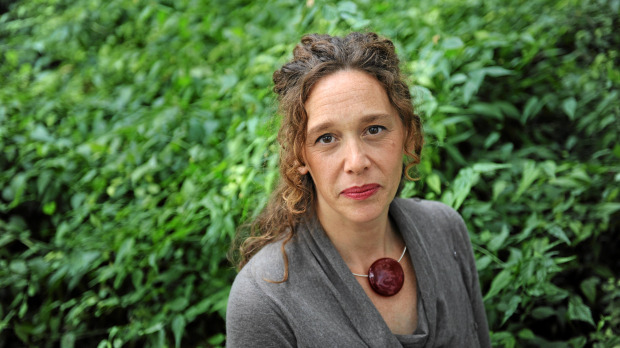 Tzeporah Berman is also the author of a recent memoir called This Crazy Time: Living Our Environmental Challenge. Tzeporah has been called everything from an eco-terrorist to an ‘enemy of the state’ by some in industry and government, while others in the environmental community have criticized her heavily for her role in negotiating conservation agreements with industry. In other words, she’s been attacked from all sides and, in our interview, she makes no apologies for her strategies over the years, saying some conservation agreements (e.g. Great Bear Rainforest) would not have been possible without negotiation and engagement. It is not enough for the environmental movement simply to oppose, she says, we also need to propose solutions when protests and activism have captured the attention of media and government leaders. She also discusses some of the campaigns she’s been involved with (including one at her synagogue when she was a child) and how her Jewish heritage has influenced her activism.